Parking: Near the Football Club (£3.00), accessed from Crosthwaite Road, or at the town centre car parks (Pay and Display). Parking next to the Football Club reserved for race officials. Entry Fee: £7.00, £5 Keswick residents or club members, on the day only. Changing rooms and showers at Keswick Football Club. PLEASE NOTE: The route of this race was changed in 2016 because the railway line had been washed away in the floods. 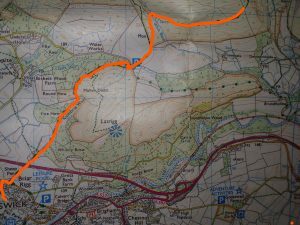 It is very unlikely to be repaired so the route will be the same as in 2016. 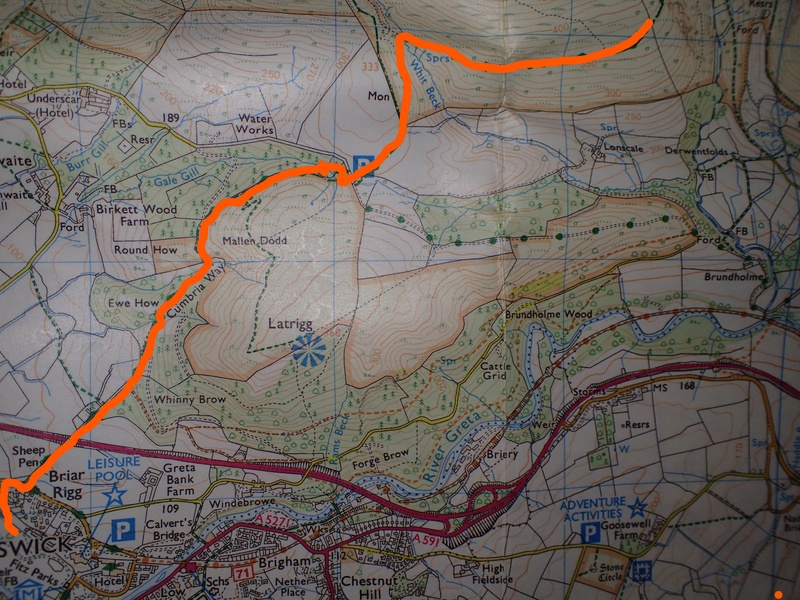 From Fitz Park, the route goes out of the park and up Spooney Green lane to the back of Latrigg. It then turns left following the Cumbrian Way under Lonscale Fell to a gate which is the turning point. Return by the same route. Suitable off road/ fell shoes are strongly advised – road trainers are not suitable for the course. The race will be shortened, or cancelled, where conditions are such that the Race Organiser considers that such action is necessary for the safety of competitors and marshals. Prizes: Top 5 men and women. Top male and female in V40, V50, V60 and V70, 18-23, and 16-18 categories. Top male and female team (3 to score, based on position). Under 18’s need parental signature or FRA consent form. No head/ear phones. Please stick to the paths.